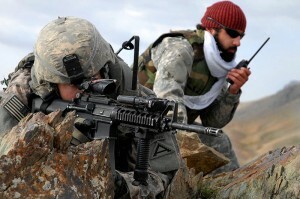 War Poetry Poems and prose about armed combat. AUSTIN, Texas — The Harry Ransom Center at The University of Texas at Austin is now home to the Dean F. Echenberg War Poetry Collection. The collection was started in the early 1970s by Dean Echenberg, a flight surgeon during the Vietnam War who later became the director of disease control for the City of San Francisco during the first years of the AIDS crisis. The Ransom Center is the new home for the Dean F. Echenberg War Poetry collection, a collection of more than 6,500 volumes of poetry related to people’s experiences with war. The collection was begun in the early 1970s by Dr. Echenberg, a flight surgeon during the Vietnam War who later served as an emergency room staff physician in Detroit Receiving Hospital, worked in private family practice, and served as Director of Disease Control in San Francisco during the first years of the AIDS crisis. The collection joins others at the Ransom Center related to the experience of war, including those of Edmund Blunden, Siegfried Sassoon, Norman Mailer, and Tim O’Brien. The common thread that runs through the collection is poetry by people who have experienced war, combatants and noncombatants alike. Included are printed and manuscript works by men and women from all continents and multiple languages and conflicts. The mix of poetry by both established and non-professional writers makes this a uniquely valuable collection for research into war literature. Here, Dr. Echenberg shares his insight into the collection. Dr. Dean F. Echenberg in his library. Photo by Jim Kuhn. Since I first began collecting, the definition of what constituted war poetry has evolved over the years. During the initial years, I collected only the poetry of World War I, especially the British poets. At that point I was only including highlights such as rare editions and manuscripts of Robert Graves, Siegfried Sassoon, Edmund Blunden, and others. I then had the opportunity to buy collections of American World War I poets, and I began to include those. In the early days I enjoyed going to bookstores and scouting out obscure war poetry books that no one else seemed to want. In those days I could come home with an armful of books. 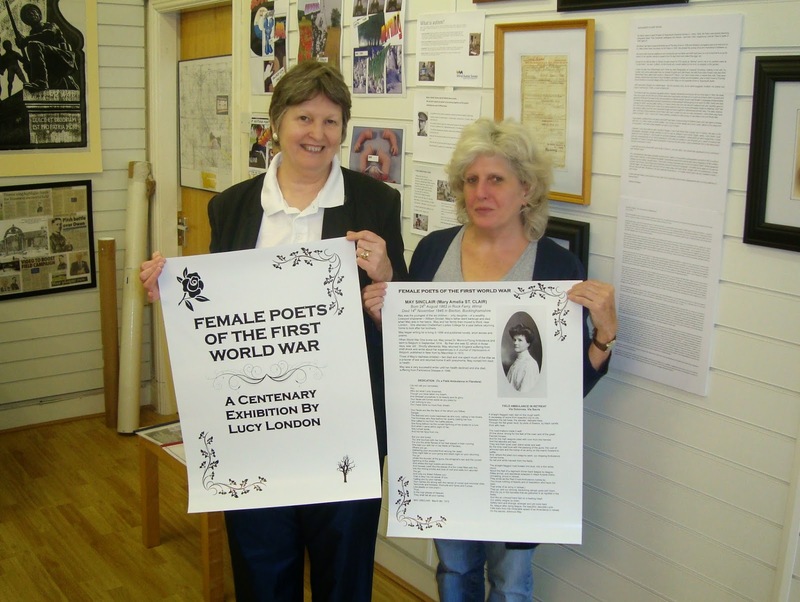 It was an easy step therefore to begin to include World War II poets. They were on the same shelves in these bookstores. I began to realize that there are no national limits in war poetry. Poetry of war is a constant genre in all countries of the world and is produced during all conflicts from the earliest times to the present. It wasn’t long before I decided that I wanted to collect the subject comprehensively. As I kept collecting the focus and the scope kept broadening, before ending up in its final form. What does it mean to you that the collection has come to the Ransom Center specifically? I had explored various institutions, both here and abroad, as a final home for my war poetry collection. There were a number of places that were interested but none that were of the caliber of the Ransom Center, with its complementary holdings, and an expressed interest in ensuring the future growth of the collection. I have known Steve Enniss for many years. His interest in the work that I was doing was a good part of the reason why we kept in contact. When he was appointed Director of the Ransom Center he continued to be interested not only in the present state of my war poetry collection but in discussing the possibility of its future growth as “The Dean F. Echenberg War Poetry Collection” within the Ransom Center. Dean Echenberg’s cabinet of “Misty” related items. Photo by Jim Kuhn. What prompted you to start collecting war poetry, and what has sustained your interest? From my earliest years I have been a collector—whether it was collecting stamps with my father, butterflies and bugs, or my coin collection. After graduating from medical school and serving as a doctor in the war in Vietnam, I served for a year as a staff physician in the emergency room of Detroit Receiving Hospital, and then returned to San Francisco to set up my own medical practice. I had always been a voracious reader, and I had hated to throw a book away, so I naturally began to accumulate books. but no one dies beautifully. This had a great deal of resonance, and stayed with me after my war years. Everyone who experiences war is affected differently, but they are definitely affected to some degree. I didn’t realize until many years later the degree that it affected me. That was probably the one reason, after I returned home, I started to gravitate more and more to the poetry that was written by people who had also experienced war. I didn’t realize at the time but it was the beginning of a personal exploration, trying to find others who might have had experiences similar to my own. So because of my own personal inclination to be a collector from a young age, my reading habits after the war, and my own personal experiences in Vietnam I soon began to accumulate a small library on the subject, the nucleus of my war poetry collection. How has this collection developed intellectually? Practically, how have you gone about collecting materials? During the days when I began to collect World War I poetry the highlights of the genre were very sought after. I initially tried to acquire these rarities. However, as my collection grew I began to realize that while these items were rare they were not difficult to accumulate—all it took was money, and there were many bibliographies and checklists of WW I to follow. Over the years I began to find more obscure and not famous copies of war poetry in the bookstores in San Francisco. Slowly I started to bring them home. I realize that I was collecting items that other people didn’t want, or even didn’t know about. But in fact this sort of research was much more interesting to me. Slowly my collecting changed from rare expensive items to much more common—but sometimes harder to locate—items. I was now collecting in breadth rather than depth. Before I knew it I had thousands of books. And it occurred to me—since it didn’t seem to occur to anyone else—that I could develop a collection unique and un-rivaled of all war poetry, especially those that weren’t deemed “collectible.” I really enjoyed the process. Out of the more than 6,500 items, is there one that most inspires you? Is there one that you think most exemplifies the spirit of your collection? The spirit of my collection is exemplified in all the writings, and of everyone in the collection who experienced war and then felt that they needed to express themselves in the form of a poem. It is the common thread that runs through the collection from the writings of the “greatest” poets to the most mundane verse by otherwise unknown writers. How have people accessed and used the collection so far? Since my collection list has gone online there are always people who seem to find it and have questions that the collection can answer. Sometimes these questions relate to genealogy and an obscure relative, sometimes a scholar is exploring a rare manuscript poem. Dean Echenberg during his service in Vietnam. Your collection spans the first appearance of the written word to the present day. Why do you think poetry is so universally valuable for expressing the war experience? Whenever someone has an extreme experience, something out of the ordinary, all of their senses are impacted. It is often only afterward that they feel the need to express these emotions, to communicate them, and to find commonality with others. “In the effort to keep day and night together. Throughout history numerous writers have tried to capture their experiences of war in language, often turning to poetry for its ability to convey intensity of feeling and for its authenticity. The common thread that runs through the collection is poetry by people who have experienced war, combatants and noncombatants alike. Included in the collection are printed and manuscript works by men and women from many countries and multiple languages and conflicts. The mix of poetry by both established and nonprofessional writers makes this a uniquely valuable collection for research into war literature. Noteworthy items in the collection include poet Edmund Blunden’s manuscript for his prose account of his wartime experience “De Bello Germanico: A Fragment of Trench History” and the rare first printing of Robert Graves’ “Goodbye to all That.” Contemporary authors include Dunya Mikhail, Shelly Taylor and Kevin Powers, a graduate of UT Austin’s Michener Center for Writers. The collection joins others at the Ransom Center related to the experience of war, including collections of World War I poets Edmund Blunden and Siegfried Sassoon, as well as the archives of critically acclaimed novelists such as Norman Mailer, Tim O’Brien and James Salter. It was while deployed with the F-100F Fast Forward Air Controllers (call sign “Misty”) that Dean Echenberg read and was moved by an English-language translation of Yevgeny Yevtushenko’s “Bratsk Station and Other New Poems” (1966). After the Vietnam War he sought other poetry inspired by first-hand experiences of war. 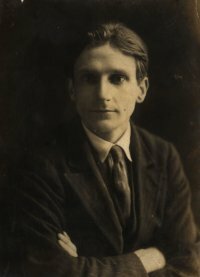 Initially he focused on the celebrated poets of the First World War, before expanding his scope to include the Second World War, and eventually all conflicts of all periods. The collection has grown to comprise more than 6,500 volumes. “War poetry is a constant genre in all countries of the world and has been produced during all conflicts from the earliest times to the present,” Echenberg said. “Over the years, the collection has had a life of its own.” Read the Ransom Center’s interview with Echenberg. Once cataloged, the collection will be available for research and teaching. Suzanne Krause, 512-471-6406, skrause@utexas.edu; Jennifer Tisdale, 512-471-8949, jentisdale@utexas.edu.